Home Arts Arts Etc. October 22, 2018—Arts Etc. Meito Shodo-Kai Calligraphy Association presents a Japanese calligraphy exhibition entitled “The Playful Brush” on view the weekend of Oct. 27 & 28th, 2018 from 10 am – 3pm. The invited calligrapher is Master Syukoh Yoshizawa. Master Yoshiyasu Fujii gives a demonstration at 1pm on both days. A/NT Gallery at Seattle Center near the International Fountain Pavilion. 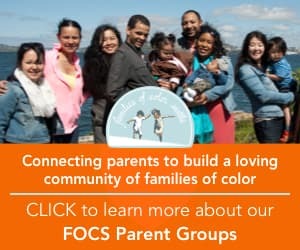 For more information, please go to www.meitokai.org. This exhibit also on view through Oct. 28 at the Oregon Historical Society Museum at 1200 SW Park Ave. in Portland. 503-222-1741 or go to www.ohs.org. “This Is Our Home, Where We Belong – Coast Salish Female Artists on Identity, Spirituality and Environment” is a group show featuring the original artwork of five Coast Salish women curated by Denise Emerson. One of the three artists-in-residence is Roldy Aguero Ablao (Chamoru), a mixed media artist and storyteller who will create artworks inspired by stories of home and connections to Indigeneity and environmental justice. Drop by the studio to help Roldy and guest collaborators. Oct. 20 from 11am – 5pm, Oct. 27 from 11am – 5pm and Nov. 3 from 11am – 5pm. Other artists-in-residence include Native Kut – Pah-tu- Pitt & Sean Gallagher and Fox Spears. Part of “Yahaw – Together We Lift The Sky”, a year-long indigenous community-based project culminating in the inaugural exhibition at Seattle Office of Arts & Culture’s ARTS at King Street Station which opens in Jan., 2019. “Yahaw” will feature the work of 200+ Indigenous creative at over 20 sites across Seattle and beyond. Curated by Tracy Rector, Asia Tail and Satpreet Kahlon. Learn more at Yehawshow.com.On view through Dec. 9, 2018. Seattle Central Public Library’s 8th Floor Gallery. 1000 Fourth Ave. or go to www.spl.org/yehaw. The Cornish Art Department Faculty Exhibition hosts a group show of work from art department faculty and instructors. Includes work by Robert Rhee, Humaira Abid and others. President’s Gallery in the Main Campus Center. 1000 Lenora Ave. On view through December 14, 2018. Gallery hours are Mon. – Fridays from 9am – 5pm. “(Where) Do We Belong? Is a group show that shapes the realities and challenges surrounding immigration and is a response as well to Trump’s “Zero-Tolerance Immigration Policies.” Includes work by Judy Shintai and Humaira Abid and others. SOIL Gallery. 114 3rd Ave. S. On view through Nov. 17, 2018. Reception on Nov. 1 from 6 – 9pm. 206-728-1980. “Invocation of Beauty: The Life and Photography of Soichi Sunami” is the first in-depth study of this photographer who got his start in Seattle in the studio of Ella McBride where he worked with Wayne Albee. Through the studio’s association with Cornish School, Sunami had the opportunity to photograph and interact with important modern dancers who visited such as Anna Pavlova, Ted Shawn and Martha Graham. Sunami also won many prizes in the highly thought of Frederick & Nelson salons before re-locating to New York in 1922. Here he opened a studio and began collaborating with Martha Graham. For almost forty years, he was the chief photographer for the Museum of Modern art. Like another Seattle photographer Frank Matsura, he became known for his iconic images of modern dancers. There is a silky sophisticated elegance to his style. Supplementing this exhibition will be a selection of paintings and drawings by his Seattle art instructor Fokko Tadama (1897-1948) and contemporaries such as Sumio Arima, Mabel Lisle Ducasse, Kamekichi Tokita and Kenjiro Nomura. On view from Oct. 11, 2018 – Jan. 6, 2019. Museum hours are Wed. – Sun. from 11am – 6pm. Art Walk Edmonds takes place Third Thursdays from 5 – 8pm and is free. 190 Sunset Ave. Edmonds, WA. 425-336-4809. The work of the late Paul Horiuchi is included in a group show entitled “Interpreting the Landscape.” On view through Oct. 30, 2018. Go to woodsidebrasethgallery.com for details. “Silicone Love – Her Garden” is a multimedia installation by Chun Shao. Visitors will experience a sculptural fiction about an Internet-generated ghost, a metaphoric figure narrated through a series of video mapped kinetic sculptures. The artist is currently a Ph.D candidate at DXARTS, UW. On view now through Oct. 19, 2018. There is a youth and family workshop set for Sat., Oct. 13, 2018 from 1 – 4pm. Email [email protected] for details and to sign up. Shao will give an artist talk on Friday, Oct. 19 at 7pm. At Jack Straw New Media Gallery. 4261 Roosevelt Way NE in Seattle’s “U” District. Rosetta Hunter Art Gallery at Seattle Central Community College presents the following -“Orchids and Evergreens: Thai and Seattle Printmakers” is a group show on view through Oct. 18, 2018. Seattle Print Arts in partnership with Nikki Barber and Miranda Metcalf present an exhibition of printmakers from Chiang Mai, Bangkok, and the Northwest. Co-curated by Seattle Print Arts in partnership with Davidson Galleries and Pratt Fine Arts Center. Artists represented include Scott Kolbo, Claire Cowie, Kim Van Someren, Romson Bustillo, Kamla Kakaria, Mike Schultz, Virginia Hungate, Kerstin Graudins, Charlie Spitzack, Tyna Ontko, Keiko Hara, Ben Moreau, Tevor Foster, David Bradway, Amber Chiozza, Brian Lane and from Thailand: Kittikong Tilokwattan, Orn Thongthai, Srijai Kuntawang, Sirinapa “Noon Nim” Thongsuk, Minchaya Chayosumrit, Kraisak Chirachaisakul, Patcharin “Nok” Meelarp, Praween Piangchompu, Theerayuth “Lek” Inkaew and Luntau.”PNW Cosplay and Cosplayers” is a group show Oct. 22 – Nov. 20, 2018. Opening reception is Oct. 24 from 5 – 7pm. If you enjoy anime, comic heroes and villains, video games, or are a cosplayer yourself, this is the show for you. Includes photography by Shiboney, local prop makers Billy the Brick, Carrhunger, and Raptor Props, and foam-smiths Foam Friction, Viv Sai Squeekadeek, and Alan the Asian. Cosplay is encouraged for the opening reception on Oct. 24. “Youth In Focus” is a group show of photographs from the Seattle youth photography project. Nov. 27 – Dec. 12, 2018. The gallery is located on 1701 Broadway on the North side of the Atrium Cafeteria in the main campus building. Free admission. Hours are 9am – 3:30pm on Mon. – Fri. and Evenings from 5 – 7pm on Tuesdays and Wednesdays only. 206-934-4379 or go to www.seattlecentral.edu/artgallery. “Endangered Species – Artists On The Front Line of Biodiversity” curated by Barbara Matilsky is at Whatcom Museum until Jan. 6, 2019. This exhibition presents the work of sixty artists from around the world who convey both the wonder and fragility of life on earth through five interconnected themes spanning two hundred years, the show reflects the vital relationship between art and natural science. Includes work by Macoto Murayama, Yang Yongliang and many others. 250 Flora St. in Bellingham, WA 250 Flora St. 360-778-8930. A non-profit, the Portland Chinatown History Foundation has opened the new Portland Chinatown Museum to the public. A new version of “Beyond the Gate: A Tale of Portland’s Historic Chinatowns”, an enormously popular national exhibit held at Oregon Historical Society two years ago will be permanently installed in Dec., 2018 followed by a gala celebration. The museum hopes to stir up interest in preserving what’s left of the community as gentrification strips away vestiges of the original community. “Descendent Threads” is a group show celebrating diverse mixed-media works created by Asian American artists Roberta Wong, Lynn Yarne and Ellen George now on view through Nov. 9, 2018.The pieces illuminate and trace the varied paths each artist has chosen to embrace their Old Town/Chinatown/Japantown roots and Asian American identities. 127 NW 3rd Ave. 503-224-0008. Kanani Miyamoto’s large-scale mixed-media prints and installations can be seen in “The Effect of Small Things” along with works by gallery artist Jeff Leake through Oct. 27, 2018. Gallery 114 at 1100 NW Glisan St. in Portland, Ore. 503-243-3356 or try www.gallery114pdx.com. “Group Therapy” is a group show that addresses themes of healing and self-care and comments on and/or adapts strategies of alternative medicine, psychotherapy and wellness practices. Includes work by Maryam Jafri and Cindy Mochizuki. On view through Jan. 6, 2019. Frye Art Museum at 704 Terry Ave. 206-622-9250. Seattle Art Museum has the following – “Pure Amusements: Chinese Scholar Culture and Emulators”, an installation of Chinese works ranging from prints to sculpture and furnishings to ceramics. The focus is on objects created for, and enjoyed during the intentional practice of leisure. Ongoing. “Noble Splendor: Art of Japanese Aristocrats” is on view through March 3, 2019 on the 3rd floor John McCone Gallery. It explores how the imperial court nobility and the military elite significantly shaped their country’s art history. “Pacific Currents” & “Billabong Dreams” are two adjacent installations that feature the theme of water from New Guinea to Puget Sound through Oct. 21, 2018. “Walkabout:The Art of Dorothy Napangardi” opens May 5, 2018 and is ongoing. Third Floor Galleries. This Aboriginal artist was born in the Tanami Desert of Australia. Her work is a spiritual map of walking with her family across ancestral land. “Peacock in the Desert: The Royal Arts of Jodhpur, India” opens Oct. 18, 2018 and remains on view through Jan. 21, 2019. You can get advance tickets for this exhibition by going to visitsam.org/peacock starting August 29, 2018. Related activities to this exhibit in the “Asia Talks” series include the following – A community opening celebration to celebrate the opening of this exhibit with live performances, an art market, music and art making on Thurs., Oct. 18 from 5 – 9pm. “Jugalbani Duet: Power and Pleasure in Indian Painting” Examining 17th – 19th century paintings done for Raiput rulers of Northern India and Mughal elites, scholars Dipti Khera (NYU), Debra Diamond (Freer/Sackler Gallery) and Yael Rice (Amherst College) will discuss cosmopolitanism and cultural exchange among the courts. A music performance and reception will follow. Presented by the South Asia Center, UW Art History Department and the Gardner Center for Asian Art & Ideas. This event takes place on Sat., Nov. 17 from 2 – 4pm. UW Kane Hall 220 on the Seattle campus of UW. On Sun., Nov. 11 from 2:30 – 4:30pm in Seattle Art Museum’s Brotman Forum, hear a presentation entitled “Sari Stories”. Originally from different regions of India, women living in the Seattle area will share personal stories linked to a sari. There will also be a demonstration of tying a turban as well. Seattle Art Museum is located at 1300 First Ave. 206-654-3210 or try www.seattleartmuseum.org. Henry Art Gallery has a group show entitled “Between Bodies” from Oct. 27, 2018 – April 29, 2019. It includes sculpture, augmented reality, video, and sound-based works that delve into intimate exchanges and entwined relations between human and more-than-human bodies within contexts of ongoing ecological change. Candace Lin and Patrick Staff are among the participating artists. 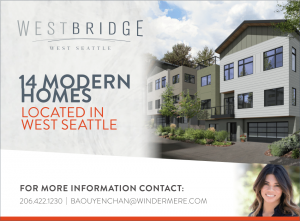 Located on the UW Seattle campus at 15th Ave. NE + NE 4lst Street. 206-543-2280 or try henryart.org. Davidson Galleries has the following –Bainbridge Island artist Gary Groves show of new woodblock prints entitled “Entanglements” is on view during the month of October, 2018. His work is influenced by the esthetics and art of Japan. 313 Occidental Ave. S. in Pioneer Square. 206-624-7684 or go to davidsongalleries.com. Pacific Bonsai Museum shakes up this Japanese tradition with LAB (Living Art of Bonsai), an experimental collaborative for bonsai innovation This project is a re-sequencing in the order of influence between the bonsai artist, ceramicist and stand maker. 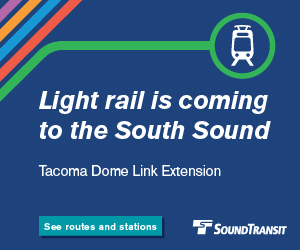 The project kicks off in 2018 and continues through 2020. A video trailer from a film about this new process can be viewed at http://www.bonsaimirai.com. For more information, go to http://www.pacificbonsaimuseum.org. “Stone Images IX” is a free exhibit open to the public featuring 28 stones collected from Washington, California, New Mexico and Alaska by members of the Puget Sound Bonsai Association. These are naturally formed stones valued for shape, color, beauty, pattern or what they can be seen to represent. On view Oct. 16 – Dec. 9, 2018. There will be a “Viewing Stones Petting Zoo” activity on Oct. 21, 2018 from 10am – 2pm. The Pacific Bonsai Museum is at 2515 S. 336th St. in Federal Way, WA. 206-612-0026 for information. Portland Art Museum has the following –“The Map Is Not The Territory” on view until May 5, 2019 is a reconsideration of the art of the northwest region. This group show includes the work of Rob Rhee and Henry Tsang among others. It covers the Eastern edge of the Pacific including Oregon, Wasshington,Vancouver, BC and Alaska. Curated by Grace Kook-Anderson. “Sumei Tse: L’Echo” is a video installation on view through Oct. 28, 2018. This project features classical cellist/artist Su-Mei Tse playing near the edge of a vast mountain canyon in a duet with nature’s reverberations. Winner of the Golden Lion Award in 2003 at the Venice Biennale. A group show entitled “Poetic Imagination in Japanese Art” taken from the May & Cheney Cowles Collection will be on view through Jan. 13, 2019. View a new body of work by Portland-based artist Avantika Bawa as part of PAM’s “APEX” series. Looking at a singular Portland architectural structure, Bawa presents her ongoing series of drawings, prints and paintings of Veterans Memorial Coliseum. On view through Feb. 10, 2019. “Three Masters of Abstraction – Hagiwara Hideo, Ida Shoichi And Takahashi Rikio” looks at some Japanese modern abstract artists. Nov. 3, 2018 – May 5, 2019. 1219 S.W. Park Ave. 503-226-2811 or try [email protected]. KOBO at Higo at 604 South Jackson features many small arts & crafts/textile shows and activities inspired by Asia or work by Asian American artists. “Connected” is a group show of jewelry and small sculptures organized by Seattle Metals Guild. Han-Yin Hsu and Yuko Tanaka are included in this show. The show is on view through Oct. 27, 2018. The 12th Annual Simple Cup Show 2018 opens on Sat., Nov. 3, 2018 at 6:30pm. As usual, people can come by to see the work and make written requests towards purchase. There is another branch of KOBO on Capitol Hill at 814 E. Roy St. 206-726-0704. It’s not too early to being thinking about Christmas shopping. Noted local graphic designer (International Examiner/Seattle Times/ The Wing) Aldo Chan is also a talented ceramic artist. You can see his work alongside fellow artists and craftspeople Kathy Roseth and Adama Kadiatu at a “Home Art Sale” set for Sat., Nov. 3, 2018 from 10am – 5pm. Refreshments served. Cash and checks preferred. 2036 N. 46th St in Seattle’s Wallingford neighborhood. Oregon Nikkei Legacy Center presents the following – “Oregon Nikkei: Reflections of an American Community – ongoing. “Nisei Trilogy” is a three print suite dedicated to 2nd generation Japanese Americans with images by Roger Shimomura and text by poet/writer/educator Larry Matsuda who were both incarcerated at Camp Minidoka in Idaho during WWII. “Collections Up Close – Oshu Nippo: Artifacts from Portland’s Japanese Language Newspaper, 1909 – 1951. The above two shows on view through Nov. 4, 2018. “Contested Histories: Art & Artifacts from the Allen Hendershott Eaton Collection is on view from Nov. 1 – 4, 2018. This show contains physical or digital representations of objects, photographs, sculptures, art works and hand-made artifacts by internees in the Eaton Collection. Allen Eaton collected this material from camp inmates for his book titled “Beauty Behind Barbed Wire”. They were slated for auction but through intervention, they were instead given to the Japanese American National Museum in Los Angeles. “Japanese American Life in Oregon” is an ongoing exhibit. Beginning this year, visitors can see artifacts of the collection up close as the stacks will be open to see as the staff does filing. 121 NW Second Ave. in Portland. 503-224-1458 or go to www.oregonnikkeir.org. Tommy Kha’s “I’m Only Here to Leave” amplifies the performative and iterative nature of self-representation through the artist’s photographs and video installations. Through Oct. 28, 2018. Blue Sky Gallery at 122 NW Eighth Ave. in Portland. 503-225-0210 or www.blueskygallery.org. “Stuck on the Ride” is a group show of multi-media art including virtual reality, projection art, video and painting. Features work by Yaloo Pop, Ralph Pugay and others. It explores the connection between media and amusement parks, as well as their changing role in American culture. Through Nov. 30, 2018. On view at Open Signal at 2766 NE Martin Luther King Jr. Blvd. in Portland. 503-288-1515 or go to www.opensignalpdx.org. Seattle artist Ko Kirk Yamahira has a show entitled “De-construction And Reconstruction” which involves the removal of individual threads from the weave of the canvas which fills the entire space, hanging from wall and ceiling. Oct. 4 – 27, 2018 at Russo Lee Gallery in Portland. 805 NW 21st Ave. 503-226-2754 or try russoleegallery.com. The Jordan Schnitzer Museum of Art located on the campus of the University of Oregon in Eugene has the following – “Reframing the Fragments: The Best We could Do” is on view through Feb. 17, 2019. It includes works made since 2000 by artists from the Vietnamese diaspora such as Binh Danh, Dinh Q. Le and Ann Lee. Embodies the complex sensations related to remembering and forgetting, tradition and innovation and trying to make sense of fragments of memory and history. “Graceful Fortitude: The Spirit of Korean Women” is on view from Nov. 17, 2018 – May 5, 2019. It includes art created by, for and/or about Korean women in all media from the twelfth to the twenty-first century. “Reflections of the Cosmic Web: Intricate Patterns in Daoist Art” remains on view through April 7, 2019. “Vibrance and Serenity: Art of Japanese No Traditional Theatre is on view through August, 2019. It covers the history and performance of No theatre using selected prints by Tsukioka Kogyo (1869 – 1927). 1430 Johnson Lane in Eugene, Oregon. 541-346-3027. Portland Japanese Garden has some interesting shows planned for this year. Through Nov. 4, 2018 is a show entitled “Gion Matsuri: The World’s Oldest Urban Festival”. This 900 year old festival in Kyoto, featuring elaborately decorated floats from all provinces of Japan. A wall of video monitors shows the festival procession, Kyoto’s top photographers provide still images and festival musicians will visit to perform the unique festival music. “Manga Hokusai Manga” comes Dec. 1 – Jan. 14, 2019. This is the only venue in the U.S. in which viewers can see the world famous manga woodblock prints by Katsushika Hokusai displayed alongside work by top modern manga artists. 611 South Kingston Ave. 503-223-1321 or try japanesegarden.org. Vancouver Art Gallery – Now through Oct. 28, 2018 is the show entitled “Ayumi Goto & Peter Morin: how do you carry the land?” It looks at the artist’s performance art works and the ongoing collaboration between a Japanese Canadian woman and a Tahltan First Nation man. “Guo Pei: Couture Beyond” is the first Canadian exhibition devoted to the work of China’s preeminent couturiere. On view from Oct.13, 2018 – Jan. 20, 2019. This mid-career survey features more than forty complete looks from Pei’s most iconic runways from 2006 to 2017. Her work combines contemporary aesthetics, production methods and materials with ancient tradition, evoking Chinese history and mythology in her craft techniques, fabric selection and imagery. Organized by the Vancouver Art Gallery in collaboration with SCAD FASH Museum of Fashion + Film curated by Diana Freundl, Associate Curator, Asian Art and Stephanie Rebick, Associate Curator. Vancouver Art Gallery is at 750 Hornby St. in Vancouver, BC Canada. 604-662-4719 or vanartgallery.bc.ca. “IN/FLUX: Art of Korean Diaspora” is a group show of Vancouver-based Korean Canadians who make traditional arts compellingly contemporary. Through Jan. 6. 2019. Museum of Vancouver at 110 Chestnut St. Go to [email protected] for details. “Entr’acte: The Works of Taiga Chiba” includes new mixed media work influenced by the artist’s recent stay in Guatemala and Mexico influenced by Mayan culture of Meso-America and Maya, the Hindu goddess of illusion. On view through Dec. 7, 2018. Art Beatus Gallery in Vancouver, BC Canada. 108-808 Nelson St. 604-688-2633 or try artbeatus.com. “Turning Blood Into Ink” is a show of new work by Dao Zi in which the artist uses Chinese ink-wash paintings to re-imagine the ancient Literati tradition. Opening Oct. 17, 2018 at Lookout Gallery located at Regent College, UBC at 5800 University Blvd. in Vancouver BC, Canada. Free admission. 604-224-3245 or try lookoutgallery.ca. The Roedde House Museum in Vancouver BC Canada presents a new experimental dance film by Cindy Mochizuki that collapse fact and fiction and interweave official and counter histories in response to the history and domestic setting of Roedde House. On view through Nov. 18, 2018. 11415 Barclay St. 604-684-7040 or try roeddehouse.org. Art Gallery at Evergreen Cultural Centre in Coquitlam, BC presents a solo exhibition by Germain Koh entitled “Home Made Home” in which art, design and architecture converge. The artist explores small-scale dwellings, creative space design and sustainability in response to the complex housing issues facing North America by building her own small-scale home. 1205 Pinetree Way. 604-927-6550. On view through Nov. 3, 2018 is Edward Cheung’s “A Chinese Dance” in which he uses photography and video to explore his Chinese-Canadian heritage and the changing cultural and geographic community where he grew up. Kamloops Art Gallery at 101-465 Victoria St. in Kamloops, Canada. 250-377-2400 or try kag.bc.ca. Asian Art Museum, San Francisco has the following –“Painting Is My Everything From India’s Mithila Region” is on view through Dec. 30, 2018. 17 contemporary artists (many of them women) use centuries-old regional styles to express personal experiences and viewpoints. “The Night Journey” by Haroun Mirza on display until Dec. 9, 2018 is a site-specific immersive artwork using light and sound that reflects the artist’s interest in Sufi mysticism. Coming soon to the Larkin St. steps in front of the museum is a giant white sculpture that turns a puppy into the size of an elephant. “Your Dog” will be waiting for you and your selfie. Japanese artist Yoshitomo Nara’s style blends cute, creepy and vulnerable into an appealing blend. “Kimono Refashioned” is a major exhibition on the evolution of the Japanese kimono created by the Museum in collaboration with the Kyoto Costume Institute. It runs from Feb. 8, 2019 – May 5, 2019. 200 Larkin St. 415-581-3500. The De Young Museum has the following – “Contemporary Muslim Fashions” is the first major museum exhibition to explore the complex, diverse nature of Muslim dress codes worldwide. The exhibition examines how Muslim women – those who cover their heads and those who do not – have become arbiters of style within and beyond their communities, and in so doing have drawn mass media attention to contemporary Muslim life. On view until Jan. 6, 2019. “Ranu Mukherjee: A Bright Stage”. This contemporary artist explores drawing, painting, animation and choreography to create hybrid installations that blur the line by imbuing each with qualities of the other. It is installed in one of the museum’s public spaces so no admission fee is required to see it. In Golden Gate Park at 50 Hagiwara Tea Garden Drive. 415-750-3600. San Francisco Museum of Modern Art (SFMOMA) presents the following – “Art And China After 1989: Theater of the World”. Bracketed by the conflicts associated with Tiananmen Square in 1989 and the celebratory moment of the Beijing Olympics in 2008, this survey of Chinese contemporary art looks at the bold movements that anticipated, chronicled and agitated for the sweeping social transformation that brought China to the center of the global conversation. On view from Nov. 10, 2018 – Feb. 24, 2019. 151 Third St. 415-357-4000 or try [email protected]. Ai Weiwei has three new shows opening in Los Angeles. His first solo institutional show in the area is at Marciano Art Foundation’s Theater Gallery through March 3, 2019. The main piece here is entitled “Life Cycle” and looks like an inflated raft crammed with human figures with animal heads of the Chinese zodiac meticulously crafted in bamboo using Chinese kite-making techniques by craftspeople. It reflects his concern with the global refugee crisis. 4357 Wilshire Blv. 424-204-7555 or try www.marcianoartfoundation.org. “Ai Weiwei: Zodiac” is at Jeffrey Deitch Gallery Through Jan. 5, 2019. It includes new and historic work such as “stools” which includes nearly 6,000 antique wooden stools collected from Northern China. 925 N. Orange Dr. in Hollywood, CA. 323-925-3000 or try www.deitch.com. “Cao/Humanity” is on view through Dec. 1, 2018 at United Talent Agency Art Space. It includes marble and porcelain sculptures as well as a multi-media project based on the artist’s book “Humanity” which includes quotes from talks he gave after his documentary film feature on the refugee crisis was released. 403 Foothill Rd. in Beverly Hills, Ca. 310-579-9850 or www.utaartistspace.com. Bay Area artist Hung Liu’s latest show at Walter Maciel Gallery in Los Angeles includes her earliest work done in China to her newest work inspired by the photos of Dorothea Lange. The early work goes against the grain of the then political correctness of Socialist realism with personal vignettes of everyday life. For the Lange series, Liu takes figures in the photos of fieldworkers and singles them out for glowing, brightly colored blown-up portraits. 2649 S. La Cienega Blvd. Through Oct. 27, 2018. 310-839-1840. The Metropolitan Museum of Art has the following – “The Poetry of Nature: Edo Paintings from the Fishbein-Bender Collection” through Jan. 21, 2019. “Crowns of the Vajra Masters: Ritual Art of Nepal” through Dec.16, 2018. “Japanese Arms and Armor from the Collection of Etsuko and John Morris” through Jan. 6, 2019. “Streams and Mountains Without End: Landscape Traditions of China” through Jan. 6, 2019. Coming Nov. 19, 2018 – Oct. 27, 2019 is is a major sculpture exhibition from the 18th & 19th century era in the Pacific Islands entitled “Atea: Nature And Divinity In Polynesia.”1000 Fifth Ave. New York, New York. Go to metmuseum.org for details. The Japan Society presents a retrospective on the work of photographer “Yasumasa Morimura: Ego Obscura” opening Oct. 12, 2018. The show highlights the artist’s 30-year-long career of excavating “the self” layers of art history, Japanese postwar history, and personal history. Another gallery event entitled “Escape [email protected]” takes place on Fri., Oct. 19, 2018 at 6pm. A group show entitiled “Japanese Radicalism” curated by Reiko Tomii and based on her book from 2016 throws light on the global web of correspondences that influenced Japanese modern artists borrowing from conceptualism, mail art and happenings. March 8 – June 9, 2019. 333 E. 47th St. 212-832-1155. The Rubin Museum of Art has the following shows – Work by Chitra Ganesh through Nov. 4, 2018. “The Second Buddha” through Jan. 7, 2019. “Masterworks of Himalayan Art” through March 25, 2018. “Gateway to Himalayan Art” through July 16, 2018. “A Monument for the Anxious and Hopeful” through Nov. 11, 2018. “The Sacred Buddha – Master of Time” through Jan. 7, 2019. “A Lost Future” by Shezad Dawood – The Otolith” through Jan. 28, 2019. “Tibetan Buddhist Art” gets a full survey including offerings from the museum’s own collection and objects from the Musee Guimet in Paris, the Cleveland Museum of Art and other institutions. Feb. 1, 2019 – July 15, 2019. 150 W. 17th St. New York, New York. 212-620-5000×344 or go to rubinmuseum.org. Wrightwood 659 is a new exhibition space dedicated to architecture and socially engaged art. It sits in a former apartment building in Chicago’s Lincoln Park neighborhood and was designed by Pritzker Prize-winning , self-taught, Japanese architect Tadao Ando. Ando often works with reinforced concrete and is known for his mastery of light. The initial show is “Ando And Le Corbusier: Masters of Architecture” up until Dec. 15, 2018. 659 W. Wrightwood Ave. 773-437-6601. Museum of Fine Arts Boston has the following – “Hao Jingban: Beijing Ballroom” uncovers a Chinese tradition. Oct. 20, 2018 – Jan. 21, 2019. 9300 Avenue of the Arts. 465 Huntington Ave. Go to mfa.org or call 617-267-9300. The Art Institute of Chicago presents the following. “Rhythm of the Weave” includes a wide range of textiles from around the world from the 14th century to the 20th century on view through Oct. 21, 2018. 111 South Michigan Ave. 312-443-3600. The Saint Louis Art Museum presents the following – “Sun Xun: Time Spy” is on view through Oct. 21, 2018. Contemporary Chinese artist Sun Xun uses woodblock printing, a centuries-old technique, to reimagine and transform the 21st century medium of digital animated film. More than 10,000 woodblocks were carved, than inked and digitally scanned to create animation cells. A selection of the woodblocks used to create the film will also be on display. Since the artist’s work is in constant dialogue with art history, the Museum will also display four prints by Albrecht Durer in recognition of the German Renaissance artist’s influence on his own practice. One Fine Arts Drive, Forest Park in St. Louis, Missouri. 314-721-0072 or go to slam.org. Famed Japanese architect Tadao Ando has his globe-trotting career on display with models of over 70 of his creations along with 180 photographs and drawings. Centre Pomidou, Place Georges – Pompidou, 75004 in Paris, France. Through Dec. 31, 2018. Nagasawa Rosetsu (1754-1799) was one of the most eccentric and imaginative brush painters in Edo, Japan. The exhibition “Rosetsu: Ferocious Brush” unravels the many mysteries of his enigmatic career. This marks the first time a large gathering of his work will be shown together outside of Japan. Through Nov. 4, 2018. Museum Rietberg at Gablerstrasse 15, 8002 in Zurich, Switzerland. 41-44-415-31-31 or go to rietberg.ch. Tokyo Opera city Art Gallery has the following shows. “Tsuyoshi Tane: Archaeology of the Future – Digging & Building” through Dec. 24, 2018. “Naoki Ishikawa: Capturing the Map of Light on This Planet” is a survey of this Japanese photographer’s work on view from Jan. 12 – March 24, 2018. 3-20-2 Nishi-Shinjuku, Shinjuku-ku, Tokyo,Japan. +81- (0) 3-5353-0756. Fukuzawa Ichiro was one of many Japanese artists who traveled extensively abroad in the early twentieth century with a seven year stint in Paris where he was influenced by Max Ernst and other Surrealists. In his painting and writing, he was a vigorous supporter of avant garde movements on his return. Almost ninety works in this retrospective attest to his transcultural range full of social critique and humor. National Musem of Modern Art, Tokyo. March 12 – May 26, 2019. 1-1 Kitanomaru-koen, Chiyoda-ku, Tokyo, Japan. +81 3-5777-8600. Miho Museum in Shiga. “100 Modern Tea Scoops – Connoisseurship and Society” on view through Dec. 2, 2018. “Ancient Civilizations of The Americas – The Human and the Supernatural” on view from Sept. 8 – Oct. 8, 2018. Go to www.miho.or.jp/en for details. The Scottsdale Museum of Contemporary Art has named Hanh Ho as its curator. Ho is a prominent art curator and gallery owner in Texas. She is currently owner of the Cydonia Gallery. The Pollock-Krasner Foundation presented the Lee Krasner Award to Mel Chin, Masami Teraoka & others in recognition of their distinguished careers. 2017-2018 artist grantees included Sajoy Chatterjee, Milano Chow, Chitra Ganesh, Sun Young Kang, Bomin Kim, Kenichiro Taniguchi and others. Pratidhwani joins forces with Theater Schmeater to present an unconventional take on popular playwright Lauren Gunderson’s “I AND YOU”. The play was originally written to be performed by a white actress and a black actor. Here with non-traditional casting, the high school couple roles are filled by Japanese American actor Josh Kenji and Indian American actress Varsha Raghavan and directed by Agastya Kohli. A teenage couple work through a homework assignment on Walt Whitman, share secrets and unlock a much deeper mystery that has brought them together. Oct. 18 – Nov. 3, 2018. At Theater Schmeater located at 2125 3rd Ave. in Seattle’s Belltown neighborhood. For tickets, go to https://www.brownpapertickets.com/event/3560351. Local composer and improv/jazz drummer Chris Icasiano and cello player Lori Goldston perform separate sets and then perform together on Fri., Oct. 19. All concerts at 8pm. $5 – $15 at the door. Chapel Performance Space at Good Shepherd Center on the 4th floor. 4649 Sunnyside Ave. N. Go to waywardmusic.org for details. Khaled Hosseini, best-selling author of “The Kite Runner” followed that up with “A Thousand Splendid Suns” that looks at the story of Afghani women and daughters. San Francisco’s ACT Theater under then Director Carey Perloff commissioned Irish Indian playwright Ursula Rani Sarma to adapt the novel into a play in 2017. Perloff also directs the Seattle Rep production in association with SF’s ACT. On stage here through Nov. 10, 2018. 206-443-2222 or go to seattlerep.org. UW drama major Elliott Chinn joins the large ensemble cast in a new UW School of Drama production of Arthur Miller’s “Incident at Vichy” directed by Kelly Kitchens. In a makeshift police station in 1942 France, a group of men are plucked off the street and wonder what ominous fate awaits them behind the interrogation door. Oct. 24 – Nov. 4, 2018. Jones Playhouse at 4045 University Way NE. For tickets, go to drama.us.edu or [email protected] or call 206-543-4880. A touring production of Broadway’s Tony [email protected] musical “Come From Away” makes its debut at 5th Avenue Theatre this fall. Through Nov. 4, 2018. By Irene Sankoff & David Hein, directed by Christopher Ashley, musical staging by Kelly Devine & music supervision/arrangements by Ian Esendrath. This musical tells the true story of the 7,000 stranded passengers in the aftermath of 9/11 and the small town in Newfoundland that welcomed them. Christine Toy Johnson is in the large cast Single tickets on sale now and at www.5thavenue.org or by calling 206-625-1900. 1308 5th Ave. in downtown Seattle. Performer/actress/singer Diane Huey (Cornish Class of 2008) is one of the headliners for “The Cornish College of the Arts Annual Scholarship Gala 2018” set for Sat., Oct. 27, 2018 at 6:30pm. Huey received a Gregory Theatre Award for her lead performance in The 5th Avenue Theatre’s production of “The Little Mermaid.” At Chihuly Garden & Glass at 305 Harrison St. in Seattle Center. 206-726-5064. “Strings Fantasy” is the title of a concert by Guzheng (Chinese classical harp) master Shirley Wang. Nov.11, 2018 at 3pm. Includes Tai Chi and Chinese painting demonstration. Meydenbauer Hall at 11100 N.E. 6th in Bellevue. 425-786-6263 or try http://www.seattleguzheng.com. “Bunka No Hi (Japanese Culture Day)” takes place on Sun., Nov. 11, 2018 from 11am – 4pm. 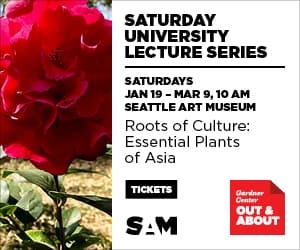 Includes exhibits on ‘Experience Japan”, travel tips to visiting that country and “Nisei Daughter”, an autobiography by Seattle author Monica Sone. Okinawa Taiko and butoh dancers perform. 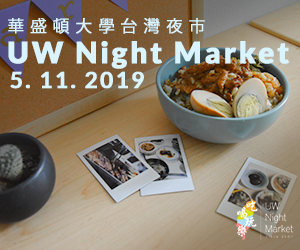 Also flower arrangement, kenjinkai booths, storytelling, martial arts, craft making, food vendors and more. Free and perfect for families. Go to jcccw.org for details. 1414 S. Weller St. in Seattle. SKATEAMERICA 2018 comes to Everett Oct. 19 – 21, 2018. Headlined by World Champion Nathan Chen and other skating stars like Satoko Miyahara, Kaori Sakamoto and Marin Honda of Japan, Nam Nguyen of Canada, Julian Zhi Jie Yee of Malaysia and many others. Tickets on sale now at 2018skateamerica.com. The Filipino American Student Association at the University of Washington and Pinoy Words Expressed Kultura Arts present a reading of “The FAYTS – The Filipino American Young”, a play in progress by local Filipino playwright, Robert Flor. The reading will be held at 7pm, Saturday November 10, 2018 in the University of Washington’s Ethnic Cultural Theatre at 3931 Brooklyn Ave. NE. Sponsored by 4 Culture. Eloisa Cardona directs this play which explores the ambitions of a group of Seattle-area Filipinos seeking to empower and raise the status of Filipino Americans through the political process in the early seventies. The reading is free to the public. Hiroshima, the rock/jazz band that came out of the Asian American student movement incorporating both koto and taiko into their instrumentation make a rare Seattle appearance on Nov. 10, 2018 at The Triple Door for an evening concert downtown. 216 Union St. in Seattle. 206-838-4333 or thetripledoor.com. Intiman Theatre Company won the Tony Award for Outstanding Regional Theatre Award in 2006. On Nov. 17 from 10:30am – 1pm, they will hold “UNSCRIPTED – Intiman Theatre’s Annual Brunch Gala” at The Foundry by Herban Feast. 4130 1st Ave. S. Tickets are $75 for this benefit event and available at intiman.org. The Meany Center For The Performing Arts – Looking forward to the 2018/2019 season, look out for the following. The Taiwan Philharmonic has been hailed as one of Asia’s best. They make their Seattle debut on Nov. 3, 2018 at 7:30pm under the baton of Shao-chia Lu. They perform Brahms, noted Taiwan composer Gordon Chin’s “Dancing Song” and are joined by pianist Stephen Hough for Liszt’s Piano Concerto No. 1. Inuit throat singer Tanya Tagaq returns to Seattle on Feb. 8, 2019. Her vocal improvisations bridge traditional roots with contemporary culture, stirring in punk, metal and electronics. Time for Three is a ground breaking string trio that transcends tradition as well by mixing elements of pop and rock into their classical foundation. They perform on April 18, 2019. 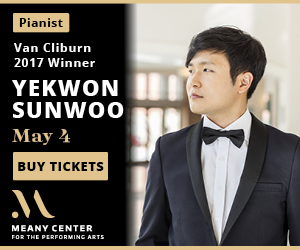 Yekwon Sunwoo won the Gold Medal at the 2017 Van Cliburn International Piano Competition. He makes his Seattle debut in a program of Schumann, Liszt, Beethoven and Schubert. One performance only on Sat., May 4, 2019 at 7:30pm. All tickets now available as part of a Meany Center subscription package and remaining single tickets go on sale on August 1, 2018. You can order online at meanycenter.org or call 206-543-4880 or visit the ticket office at 41st Street between University Way NE & Brooklyn Ave. NE. tickets available via FAX too at 206-685-4141. Seattle Opera’s staging of Benjamin Britten’s “The Turn Of The Screw” is a spine-tingling ghost story. It features a young Forrest Wu (see related story in this issue) in his Seattle Opera debut in the rotating role of the young boy, Miles. The production is performed on Oct. 13, 14, 17, 20, 24, 26, & 27. At McCaw Hall in Seattle Center. 206-389-7676 or go to seattleopera.org/turnscrew for tickets and information. “Sound Travels: Performing Arts of Asia” is a series that’s part of Gardner Center’s Fall Saturday University Lecture Series through early Dec., 2018. Presentations at 11:30am in Seatte Art Museum’s Plestcheeff Auditorium. On Oct. 20, Amy Catlin-Jairazbhoy from UCLA presents “Musical Arts of Jodhpur and Jaisalmer, Rajasthan”. On Oct. 27, Katherine In-Young Lee of UCLA presents “Dynamic Korea and Rhythmic Form”. On Nov. 3, Tomoko Sugawara, kugo harp with Gus Denhard on lute and Antonio Gomez on percussion perform “Music of the Tang Dynasty: Connections to Japan”. Nov. 10 brings Hari Krishnan from Wesleyan University with two members of InDANCE from Toronto to present “Movement and Metaphor in South Indian Court Dance”. Nov. 17 brings Behrooz Alavi on ney flute with Ali Ghaemmaghami on kamancheh, and Sarang Amritbar on vocals and tombak presenting “Modes and Melodies of Classical Persian Music.” Dec. 1 brings Julie Iezzi from the University of Hawai’i presenting “Exploring Kyogen: Comical Drama of Medieval Japan. Another concert entitled “Songs of Rajasthan” brings local Indian vocalist Srivani Jade and her Ensemble to the Seattle Art Museum’s Brotman Forum on Thurs., Nov. 15 at 7pm.Visitsam.org/tickets or call 206-654-3210. The Culture Shock Collective presents “KABABAYAN”, a Filipino American History Month Celebration set for Tacoma Art Museum on Thurs., Oct. 18 from 5 – 7:30pm. Free + family friendly with artist vendors and music by DJ Phenohype. 1701 Pacific Ave. 253-272-4253. Earshot Jazz brings their star-studded Fall Earshot Jazz Festival which begins Oct. 7, 2018 with the best in jazz, ethnic and improvised music locally, nationally and internationally. Some performers include – Award-winning vocalist Jen Shyu (see related story in this issue) brings her “Nine Doors” piece to Poncho Concert Hall on Sat., Oct. 20 at 8pm at Cornish College of the Arts. Composer/bassist Linda May Han Oh visits as part of the Pat Metheny Group on Sun., Oct. 21 at 7pm at the Admiral Theatre in Bremerton. Smooth pianist Deems Tsutakawa shares the bill with Seattle guitarist Michael Powers on Thurs., Oct. 25 at 8pm at Langston Hughes Performing Arts Institute. Visit www.earshot.org for upcoming details as fall draws closer. Town Hall Seattle & The Triple Door present Iranian-born singer Mamak Khaden who manages to take traditional material giving it a contemporary spin. Dec. 2, 2018 at 7pm. 216 Union St. downtown Seattle. Go to thetripledoor.org for details. The Fremont Abbey presents the following concerts – Takenobu is part of the Cathedrals XXIV concert along with Laura Gibson and Horse Feathers on Nov. 3, 2018 at 7:30pm at St. Mark’s Cathedral located at 1245-10th Ave. E. At Fremont Abbey, catch singer/songwriters Debbie Miller, Tomo Nakayama and Brenda Xu on Nov. 16 at 7:30pm. Bay-area based Cynthia Lin brings her vocals and ukulele to the Fremont Abbey for a concert and strum-along. Her recording “Ukulele Days” hit the world music and Billboard charts. She performs on Dec. 15, 2018 at 7:30pm. 4272 Fremont Ave. N. 206-414-8325. Seattle Tabla Institute’s “Access to Ustad Project” concert series presents Kalyanjit Das on sitar with Ravi Albright on tabla on Oct. 20 at 7pm. Free. At Brechemin Auditorium in the Music Building on the Seattle campus of the University of Washington. Alam Khan performs on sarode on Sat., Dec. 1, 2018 at 7pm. Eastside Bahai Center in Bellevue. For details and tickets, try https://alam.bpt.me or ACITSeattle.org. Some performances not to miss in Vancouver BC include the following – Vancouver Playhouse has a full schedule. A concert of Taiwanese & Canadian musicians perform on Oct. 28, 2018 at 7:30pm. Akram Khan Company presents “Chotto Dash” on Nov. 21 – 24. This U.K. Kathak dance virtuoso uses storybook animation to tell the dream-like tale of a boy exploring his British and Bangladeshi roots. Pianist Yundi Li performs “A Touch of Chopin” on Nov. 28, 2018. 600 Hamilton St. 604-665-3050. Chinese Canadian Nathania Ko is Canada’s only professional Konghou player. This instrument is a hybrid of the pedal harp and the guzhen (Chinese zither). She plays the West Coast Harp Society’s Annual Harp Day Concert on Oct. 20, 2018 at the Unitarian Church of Vancouver. 949 W. 49th St. 1+604-261-7204. Bharata Natyam virtuoso dancer Arno Kamolika came to Vancouver from Bangladesh to study architecture but along the way, she found time to study with Mandala Arts’ dance master Jai Govinda locally. Now she presents “Shyama” on Oct. 27, 2018. It tells Tagore’s epic dance drama using Bharata Natyam dance. Directed by Rohit Chokhani with original choreography by Jai Govinda and a score by Bengali-Canadian composer Shankhanaad Malick and four other dancers. At the York Theatre at 1440 W. 12th St. 1-604-731-5518. “A Vancouver Guldasta” focuses on a Punjabi family in Vancouver who navigate through the experience of trauma and violence occurring in their home state of Punjab while simultaneously dealing with their daughter’s complicated friendship with a teenage Vietnamese refugee who lives in their basement. Played to sold-out houses in 2017. Now through Oct. 21, 2018. Vancity Culture Lab at 1895 Venables St. 604-251-1766. The Historic Theatre in Vancouver presents “The Ones We Leave Behind” by Loretta Seto from Oct. 24 – Nov. 3, 2018. Directed by John Cooper. A public trustee investigator is assigned to find the next-of-kin for an elderly woman who has died with no friends or kin to claim her. It poses the question, “Are the greatest walls we build within ourselves?” 1895 Venables. 604-251-1363. Dumb Instrument Dance presents “Public & Private – the premiere of Ziyian Kwan’s new full-length work featuring video and a team of strong female dancers. Nov. 13 – 17 and 20 – 24, 2019. At Left of Main at 211 Keefer St. Performer Kevin Ninh who entertains an online audience of half a million with comedy sketches and makeup transformations is profiled in an article by Quinn Russell Brown in the Sept., 2018 issue of Columns – The University of Washington Alumni Magazine. Pork-Filled Players has two projects coming up. “Unleashed – New Pulp Stories For the 21st Century” features new genre plays from playwrights of color in an ongoing series of staged readings throughout the year. Pork-Fllled Players teams up with the Rebate Ensemble to bring you “The Night Parade”, a theatre experience that immerses qudiences in the supernatural and horror based on the old Japanese folk tale “Hyakki Yagyo, Night of A Hundred Demons.” Takes place at a secret location revealed only to ticket buyers at time of purchase. Script by Kendall Uyeji and Tom Dang. Directed by Tom Dang. Oct. 17 – Nov. 3, 2018. Tickets at http://www.rebateensemble.org. The Fluxus composer and violinist Takehisa Kosugi died Oct. 12, 2018. He became known as a composer, a violinist and an influential teacher as well (Marginal Consort, an improvising collective assembled from Kosugi’s students in Tokyo perform in Seattle’s On The Boards Jan. 25 & 26, 2019). He started as part of Group Ongaku, one of the first Japanese ensembles to explore collective group improvisation and multi-media performances. He made his name as a solo artist and as a member of the Taj Mahal Travelers. From 1995 – 2011 he served as third and final musical director of the Merce Cunningham Dance Company. Interesting performances abound in New York. A new play by Hansol Jung entitled “Wild Goose Dreams” tells the story of a South Korean man who remains in Korea after his family moves to America. He connects online with a young woman who has defected from North Korea. On stage Nov. 14 – Dec. 9, 2018. Directed by Leigh Silverman at The Public Theater. Go to publictheater.org for details. Shamisen virtuoso Hidejiro Honjoh who is interested in his traditional instrument’s contemporary uses plays with the International Contemporary Ensemble in a program of new composition premieres by Vijay Iyer, Nathan Davis and Yu Kuwabara and others. Oct. 5, 2018 at Japan Society. Go to japansociety.org for details. Philip Glass’s contemporary look at the life of Gandhi back in 2008 by the Met Opera gets a fresh do-over when the companies Folkoperan and Cirkus Cirkor re-stage it at Brooklyn Academy of Music starting on Oct. 31, 2018 with acrobatics and tale-spinning yarn. Go to bam.org for details. Classical Chinese pianist Yuja Wang gets a whole series entitled “Perspectives” in which she will collaborate with classical orchestras and colleagues but also perform with percussion and the music/comedy duo of Igudesman & Joo. Starts Oct. 26, 2018 at Carnegie Hall. Go to carniegehall.org for details. Two interesting musical theatre experiences recently in Los Angeles. Jazz trumpeter/composer Wadada Leo Smith’s musical ode to civil rights icon Rosa Parks entitled “Rosa Parks Oratorio” at REDCAT was the final program in the Angel City Jazz Festival. The cast was multi-cultural with Mexican experimental vocalist Carmina Escobar, the Chinese singer and pipa virtuoso Min Xiao-Fen and operatic soprano, Karen Parks. The string quartet was led by violinist Shalini Vijayan and the trumpet section by the composer, himself. The choreography was by butoh-trained Oguri. A recording of the soundtrack will be released in a few weeks. “Blue Moon Over Memphis” is the story of an Elvis fan on a pilgrimage to Graceland by Deborah Brevoort. It’s a musical that evokes the spirit of Elvis and is structured with the complex formal Noh traditions of dance, song and stage movement. The international Noh collective called Theatre Nohgaku offered this L.A. premiere at UCLA’s Kaufman Dance Theater. 20 years before Aasif Mandvi was a “Daily Show” correspondent or starred in Ayad Akhtar’s Pulitzer-winning play, “Disgraced”, he was just another frustrated Asian American actor who couldn’t get an audition to save his life. In frustrated response he wrote a one-person show called “Sakina’s Kitchen” about a group of Indian immigrants working in a New York City restaurant which was given a production by the American Place Theatre. Now that same play will be revived at Minetta Lane Theatre in New Yorkby Audible, the audiobook producer for its theatrical expansion plans. After the play ends its run on Nov. 11, 2018, the audio will be available as a download on Audible’s website. In “On Happiness Road”, a Taiwanese woman returns to Taipei after years living in the U.S. to join her family in farewelling her grandmother. In her 30s, childless and with a crumbling marriage, being home awakens memories of childhood. Winner of the Tokyo Anime Festival’s Grand Prize. By first-time director Hsin-lin Sung. This film will be available for viewing on i-tunes starting Dec. 7, 2018. “The Apology” is a documentary film that depicts the personal journey of three women (from South Korea, China and the Philippines) whose lives were upended when they were forced into sexual slavery during WWII by the Japanese military. Writer/director Tiffany Hsiung follows their personal journey – fading health in their twilight years, they grapple with the impact of their wartime experiences and the legacy they will leave behind. “The Apology” has its national broadcast debut on the PBS documentary series POV (Point of View”) on Monday, Oct. 22, 2018. The film is a co-presentation with the Center for Asian American Media. Call your local PBS station for exact showtimes. Seventh Art Stand presents “And Then They Came For Us” (see related story in this issue), a documentary film by Abby Ginzberg and Ken Schneider featuring George Takei. The film looks at the forced incarceration of 120,000 Japanese Americans during WW II and brings history to the present by reflecting on the current travel ban and Muslim registry. The film screens Oct. 27 at 4:30pm and Oct. 28 at 7pm. Filmmaker Abby Ginzberg will do a Q&A after each screening. There will be special guests including Satsuki Ina (who appears in the film) at the Oct. 29, 2018 screening. Puget Soundtrack: “Sundae Crush Presents Sailor Moon: The Movie” on Sat., Nov. 3, 2018 at 8pm. Local pop band Sundae Crush perform a live soundtrack to Kunihiko Ikuhara’s anime film “Pretty Soldier – Sailor Moon R: The Movie.” This animated fantasy tells the story of Sailor Moon and the Sailor Guardians who unite to save Earth from an alien force. Nov. 10 at 7pm is “Kuroneko” (Black Cat), a 1960’s classic Japanese ghost/horror film by Shindo Kaneto screened as part of the “felines on film” Hep Cats Series. Dec. 14 – 16 brings “People’s Republic of Desire” which looks at China’s live streaming industry and how it has become a moneymaking venture for media personalities across the country. Go to nwfilmforum.org for advance tickets. Northwest Film Forum is located at 1515 12th Ave. on Capitol Hill. Go to www.localsightings.org for details on the Local Sightings Festival. 206-329-2629. “Kusama: Infinity” is a documentary film by Heather Lenz that ells the story of a young female Japanese artist who moved to New York in 1958. Her first stop was Seattle where she had her first show and was encouraged by local artists to go East. Inspired by 1960s American political and social revolution in the Big Apple, her avant-garde innovations in art/sculpture/performance art generated notoriety but little success. Encountering racism and sexism in a male-dominated art world, Kusama returned to Tokyo and voluntarily retired to a mental institution. Only in the last twenty years has her work received any recognition. “Kusama: Infinity” captures the power of her work that is finally receiving its due. Hurry! ends Oct. 18, 2018. Northwest Film Forum. 1515 – 12th Ave. 206-329-2629. If you have enjoyed an animated feature film from Japan’s Ghibli Studios and wished you could see more, here’s your chance. Fathom Events brings a Studio Ghibli Film Festival starting in March and going through November, 2018. The films will screen at Pacific Place 11, The Varsity in the University District & Thornton Place 14 in Seattle and Lincoln Square Cinemas in Bellevue. All screenings at 12:55pm in the afternoon. Here are the titles and dates. Please note that some screenings will be dubbed and others will be with subtitles. “Spirited Away” is Oct. 28 (dubbed), Oct. 29 (subtitled) and Oct. 30 (subtitled). “Castle in the Sky” is Nov. 18 (dubbed), Nov. 19 (subtitled) and Nov. 30 (dubbed). Anime fans, take note! A double feature brings 1990’s “Dragon Ball Z: The Father of Goku”and 1995’s “Dragon Ball Z: Fusion Reborn” to the big screen. Fully remastered and dubbed in English with special content. Fans will also receive a free Dragon Ball super trading card while supplies last. Screens Nov. 3 at 12:55pm and Nov. 5 at 7pm. Regal Thorton Place 14 in Seattle, Lincoln Square Cinemas in Bellevue and Regal Bella Bottega 11 in Redmond. Go to www.fanthomevents.com for tickets or at the box office. “TWIST -The 23rd Seattle Queer Film Festival” screens from Oct. 11 – 21, 2018 around the Puget Sound with local, national and international films. Go to www.threedollarbillcinema.org for more details. Some films include the following –Daryl Wein’s “White Rabbit” gets an outstanding performance from Vivian Bang as a struggling Korean-American performance artist coming off a recent break-up. Then she meets a photographer and feels a strong connection developing. But are the feelings reciprocated? A hit at Sundance. Screens Oct. 19 at 7:15pm at AMC Pacific Place. Sridhar Rangayan’s “Evening Shadows” looks at a mother’s love for her son even as he is forced to come out in this traditional small-town in Southern India. Screens Oct. 20 at 2:15pm at AMC Pacific Place. GKIDS presents the U.S. debut of Mamoru Hosoda’s “Mirai”, the latest feature animated film from this 10-time Tokyo Anime Award-winning director who gave us “The Boy And The Beast”, “Wolf Children”, “Summer Wars” and “The Girl Who Leapt Through Time”. Screens on Thurs., Nov. 29 at 7pm (dubbed) and 8pm (subtitled) and again on Wed., Dec. 5 at 7pm (subtitled) and Dec. 8 at 12:55pm (dubbed). Go to gkids.com for details or buy at your local box office. A new season dawns on both TV screens and the silver screen. Here’s a look at some new offerings. With the advent of multiple cable networks, television has diversified. South Korean Director Park Chan-wook directs “The Little Drummer Girl” for AMC. Director Cary Fukunaga (“Beasts of No Nation”) teams up with writer/producer Patrick Somerville to do “Maniac”, a 10 episode limited series on Netflix about a woman (Emma Stone) and man (Jonah Hill) involved in a clinical drug trial which also stars Justin Theroux and Sonoya Mizuno. Kelly Marie Tran stars in a dark comedy by Facebook Watch entitled “Sorry For Your Loss.” Angela Kang oversees “The Walking Dead” in its ninth season on AMC. Alan Yang stars in Fred Armisen’s take on “Southern California” in “Forever” on Amazon. Comic/commentator Hasan Minhaj of the “Daily Show” gets his own weekly series entitled “Patriot Act” on Netflix. Sam Esmail has a new psychological thriller entitled “Homecoming” with Rami Malek on Amazon. Some films for the new season include the following. September offerings include the following – When a Filipina transgender woman was killed in 2014 in the Philippines, it became an activist cause. PJ Raval follows the case in a documentary film entitled “Call Her Ganda.” “Dragonfly Eyes’ is by internationally known Chinese artist Xu Bing. His last project was using using material shot on surveillance cameras in China. Now he has taken that footage and woven it into a fictional narrative. Elizabeth Chai Vasarhelyi and Jimmy Chin, the team behind the mountain-climbing documentary “Meru” are back with another one entitled “Free Solo” about climber Alex Honnold climbing El Capitan in Yosemite with no net. “Matangi/Maya/M.I.A.” is a documentary film on this famous rapper who is the daughter of a Tamil activist in Sri Lanka. She spent her childhood as a refugee in Britain. She talks about how all those experiences shaped her music. “Goosebumps 2:Haunted Halloween” drawn from R. L. Stines’s horror books has Ken Jeong in the cast. John Cho is one of the varied cast in “The Oath”, a film about Thanksgiving promises by Ike Bairnholtz. Xiao Feng directs a WWII drama staring Bruce Willis. South Korean director Lee Chang-dong takes on a Haruki Murakami story in “Burning” in which a triangle of an aimless young man, a mysterious young woman and a wealthy charmer become entangled. Caused a stir at Cannes. Yen Tan directs “1985” in which a young man sweats over coming out to his conservative family. Stars Cory Michael Smith. Singapore director Sandi Tan picks up the pieces of an unfinished film she did with friends in “Shirkers”. Set for November, 2018 are these following films. Rami Malek stars as Freddie Mercury, the South Asian lead singer of Queen, a project that has seen its fits and starts. Directed by Bryan Singer who was fired before the film’s completion. Will the completed result be worth the wait for music fans? “The Front Runner” adapted from Matt Bai’s book by the author himself has Hugh Jackman playing Gary Hart, a presidential candidate derailed by an affair. The great Japanese director Hirokazu Kore-eda’s latest film “Shoplifters” nabbed the top prize at Cannes this May. It’s about a story of petty thieves who take in a young girl. “Mirai” is Mamoru Hosoda’s latest anime feature about a boy jealous of his infant sister – then he meets her again as a time-traveling teenager. December, 2018 has these films coming out – “Dead Souls” is an epic documentary by Wang Bin that records the testimonies of survivors of Chinese re-education camps in a 1957 purge by the Communist Party. “Alita: Battle Angel” is James Cameron’s produced epic adapted from Yikito Kishiro’s manga series about a sympathetic cyborg as directed by Robert Rodriguez. “Destroyer” is a crime story with Nicole Kidman playing a detective in Los Angeles as directed by Karyn Kusama. The Jack Straw Writers read again on Sat., Nov. 3, 2018 at 4pm at the Downtown Seattle Central Public Library. Open Books has the following events –Local poet/educator Rick Barot teaches a workshop entitled “The Personal & the Political” Oct. 21 at noon and Oct. 28 at 10am. Pre-registration fee of $75 per person. The class will look at a handful of poets for ideas on how to pivot between the personal and political in our own writing. Barot has published three volumes of poetry and directs the Rainier Writing Workshop MFA program in Creative Writing at PLU in Tacoma. His new book “The Galleons” is forthcoming from Milkweed Editions in 2020. Mia Ayumi Malhorta (see related story in this issue), a former UW MFA graduate returns to town from the Bay Area for a book launch reading from her debut poetry collection entitled “Isako Isako” (Alice James Books) on Oct. 26 at 7pm. The book looks at generations of Japanese American women in her own family and how they were affected by the history of internment during WWII. Local poet Dujie Tahat joins fellow 2018 Jack Straw writers Kamari Bright, Jalayna Carter, Bryan Edenfield and Corbin Louis in a 2018 Jackstraw Writers Reading on Nov. 30, 2018 at 7pm. A group reading with poets Geneve Chao, Wendy Chin-Tanner, Sarah Mangold & Jane Wong is set for March 17, 2019 at 4:30pm. Open Books is a poetry only bookstore located in Seattle’s Wallingford neighborhood at 2414 N. 45th St. 206-633-0811 or try [email protected]. Town Hall Seattle, Historic Seattle and the Wing present Dr. Marie Rose Wong who will speak about “Building Tradition – Pan Asian Seattle and Life in the Residential Hotels” on Oct. 27, 2018 at 10am. Wing Luke Asian Museum is at 719 King St. Doors open 9am. $15 – $20 admission. Sayu Bhowani talks about her new book entitled “The New Wave of Candidates at Democracy’s Doors” on Mon., Oct. 29, 2018 at 7:30pm. Rainier Arts Center at 3515 South Alaska St. in Columbia City neighborhood of Seattle. $5. Doors will open at 6:30pm. Presented by Town Hall Seattle and Rainer Arts Center. Elliott Bay Book Company continues to sponsor readings in their Capitol Hill bookstore as well as co-producing events all over the city. Below you will find a partial listing of some of their events. Events are at the bookstore located at 1521 Tenth Ave. unless otherwise noted. 206-624-6600. South Korean fiction writer Kim Sagwa comes on Friday, Oct. 19 at 7pm with local translators Bruce & Ju-Chan Fulton to read from her translated English debut, “Mina” (Two Lines Press). The book is a portrait of three Korean teenagers trapped in the grip of middle class affluence and Western cultural hegemony with no place to escape. Also on the bill is local poet/translator Dom Mee Choi. This event takes place at the book store. “Civic Saturday With Eric Liu & Friends” takes place on Sat., Oct. 20 at 10:30am at Fremont Abby. This is a civic analogue to church: a gathering of friends & strangers in a common place to nurture a spirit of shared purpose- call it American civic religion – the creed of liberty, equality and self-government that truly unites us. Includes music, readings and a civic sermon by author/community activist Eric Liu. The Fremont Abbey is at 4272 Fremont Ave. N. Free but please pre-register at www.citizenuniversity.us. Poet/prose writer Natasha Kochicheril Moni joins Rena Priest in a Floating Bridge Press Group Reading on Sun., Oct. 21 at 3pm back at the bookstore. Moni was “A Nation (Imagined)” winner of this year’s Floating Bridge Press Chapbook Award. Priest’s “Sublime Subliminal” was a Floating Bridge Press Chapbook Award Finalist. On Wed., Oct. 24 at 7:30pm physician/writer/poet Chaya Bhuvaneswar (see related story in this issue) discusses her new book of short stories entitled “White Dancing Elephants” (Dzanc Books) back at the bookstore. Also at Elliott Bay, UW Professor Radhika Govindrajan discusses “Animal Intimacies: Interspecies Relatedness in India’s Central Himalayas” (University of Chicago) on Mon., Oct. 29 at 7pm. The book explores the range of intimate relationships people in this region have with the animals. Co-presented withTasveer. Award-winning jazz critic Nate Chinen who has written for the New York Times, Jazz Times and directs “Jazz Night in America” on public radio comes to town on behalf of his new book “Playing Changes: Jazz for the New Century” (Pantheon). Sat., Nov. 3 at 5pm. Biological and mechanical engineer David Hu makes observations from his book “How to Walk on Water and Climb Up Walls” when Town Hall Seattle and University Prep bring him to University Prep in Wedgewood on Friday, Oct. 19, 2018 at 7:30pm. He will show how animals evolved to traverse their environments and how humans have used mechanical inventions borrowed from nature to make it work for us. 8000 25th Ave. NE. Go to townhallseattle.org for details. Raven Chronicles Press presents a reading and reception for “Stealing Light, A Raven Chronicles Anthology, Selected Work 1991 – 1996” on Sunday, Oct. 21, 2018. Reading starts at 2pm. Readings by authors Fatima Lim Wilson, Gail Tremblay, Kathleen Alcala and many others. Reception is at 4pm.At Seattle Public Library’s Microsoft Auditorium. 1000 Fourth Ave. Free. 206-941-2955 or go to www.ravenchronicles.org. Townhall Seattle and The Riveter present “Modern HERstory” by Blair Imani on Nov. 9, 2018 at 7:30pm. $5. Marissa Jenae Johnson talks to the author about her book chronicling change-makers who are overlooked – women, people of color, queer people, trans people, disabled people, young people and people of faith.The Riveter is at 1517 – 12th Ave. in Suite 101. Doors open at 6:30pm. Town Hall & Seattle University present Francis Fukuyama who talks about his new book entitled “Identity, Dignity and the Politics of Resentment” which warns that Americans must begin shaping their identity if we want to support, rather than undermine democracy. On Wed., Nov. 14 at 7:30pm at Pigott Auditorium at Seattle University campus walk on Marion. Doors open at 6:30pm. UWALUM.COM/GOLECTURES present their Autumn 2018 series of Public Lectures. Some highlights include –In the “University Honors Program”, the topic of “Global Challenges/Interdisciplinary Answers: The Question of Rights?” will be addressed by Angelica Chazaro, Assistant Professor of Law, UW, Megan Ming Francis, Associate Professor of Political Science, UW, Tom Ikeda, Executive Director, Densho: The Japanese American Legacy Project and Vicky Lawson, Professor of Geography, Honors Program Director, UW. This panel discussion takes place on Nov. 14, 2018 at 6pm in the HUB North Ballroom on the Seattle UW campus. In the “Simpson Center/Katz Distinguished Lectures In The Humanities”, Jordanna Bailkin, Professor of History, UW addresses the topic of “Unsettled: Citizens, Migrants and Refugees in British History” on Dec. 6, 2018 at 7pm in Kane Hall 210 on the Seattle UW campus. All lectures are free and located on the UW campus unless otherwise noted. Register now to attend by going to UWALUM.COM/GOLECTURES or by calling 206-543-0540. Seattle-raised poet & writer Paisley Rekdal has won the 2018 Narrative Prize from Narrative Magazine. Poetry editor Michael Wiegers noted “Paisley Rekdal revivifies the possibility of the public intellectual. Her poems are groundbreaking investigations –and reinterpretations-of long-treasured Western myths that she infuses with personal urgency and meaning.” She recently wrote an op-ed column for the New York Times. Rekdal has also been chosen as the 2018 “Judith Kitchen Visiting Writer” for the Rainier Writing Workshop, a low-res MFA Creative Writing Program at Pacific Lutheran University in Tacoma directed by Professor & poet Rick Barot. Go to plu.edu/mfa-writing for details. UW Bothell Distinguished Alumna of the year for 2018 Taylor Hoang, owner of the Pho Cyclo Café restaurant chain is written up for her efforts to push for small business advocacy in the Fall 2018 issue of Viewpoint magazine. The National Book Foundation’s finalists for the 69th Annual National Book Awards has been announced. On the list for “Poetry” are “Eye Level” (Graywolf Press) by Jenny Xie and “Ghost of” (Omnidawn Publishing) by Diana Khoi Nguyen. On the list for “Translated Literature” is “The Emissary” by Yoko Tawada as translated by Margaret Mitsutani.The winner will be announced at a Nov. 14, 2018 ceremony in New York. Award-winning writer David Wong Louie who drew upon his experiences as the son of Chinese immigrants to create stories in his novel “The Barbarians Are Coming” and his short story collection “Pangs of Love” has died of cancer in Venice, Calif. He was 63. He last taught at the Asian American Studies Department of U.C.L.A. “Thank You Very Mochi” (Kizana) by Paul Matsushima, Sophie Wang and Craig Ishii and illustrated by Jing Zheng. What happens when the grandkids visit their grandparents for New Years and find the mochi pounding machine broken? Grandfather has an old fashioned solution in this delightful kids picture book on a Japanese cultural tradition. “West Wingers – Stories from the Dream Chasers, Change Makers and Hope Creators Inside the Obama White House” (Penguin) as edited by Gautam Raghavan. Eighteen Obama staffers tell their stories of advocacy and fighting for programs on issues closest to their lives. “Write To Me – Letters from Japanese American Children to the Librarian They Left Behind” (Charlesbridge) by Cynthia Grady and illustrated by Amiko Hirano. This picture book tells the story of San Diego Public Library Children’s Librarian Clara Breed and the letters she received from her former young patrons from internment camp during WW II. “When I Grow Up” (Simon & Schuster) by Julie Chen and illustrated by Diane Goode. The debut kid’s picture book by TV host Julie Chen about a girl’s dreams of growing up. “Checked” (Antheneum) by Cynthia Kadohata. A moving young adult novel about a boy who devotes his life to the sport of ice hockey and his dog. But what happens when his dog gets sick and both the sport he loves and his dog require money that he and his dad don’t have. “Ray Komai – Design For America” (Counselor Books LLC) by Doug Clouse tells the story of a talented designer and the work he did promoting the country that had once put him behind barbed wire. “The Complete Story of Sadako Sasaki” (Armed With The Arts INC) by Sue Dicicco & Masahiro Sasaki is the historical account of a young girl’s life in Hiroshima, Japan during WWII and after the atomic bombing and what she did for peace. “Rebel Lawyer – Wayne Collins And The Defense of Japanese American Rights” (Heyday Books) by Charles Wollenberg. A focus on this lawyer’s legal battles for Nikkei rights put forth in the context of the larger history of Roosevelt’s Executive Order 9066 and the policies it promoted. “Ruth Asawa – A Sculpting Life” (Pelican) by Joan Schoettler with illustrations by Traci Van Wagoner. From the Japanese American internments to the creation of the San Francisco School of the Arts, Ruth Asawa’s life journey is one filled with challenges and obstacles turned into triumphs through perseverance and a unique vision. A profile of this extraordinary woman, teacher and artist for the younger set. “Rosetsu: Ferocious Brush” (Prestel) by Khanh Trinh and Matthew McKelway is a catalog accompanying one of the first major exhibitions on this 18th-century Japanese painter to be shown in Europe. With sixty of his most important paintings, Nagasawa Rosetsu is considered today to be one of the most imaginative artists of early modern Japan. The Wing throws a house party and you’re invited. This after-hours event gives you a chance to soak in local sounds, explore all the exhibits, see dance and music performances by contemporary Asian American artists and just feel at home. $20 admission (museum members get half off for guests) include hors d’oeuvres and one drink ticket. Spirits, wine and beer available for purchase. Music and performances by The Cabiri with the Shanghai Pearl & Vivian Tam, TUF, Au Collective, Malicous Allure, Stasia Burrington, Do Yoon Kim, No-No Boy, and DJ Bail & Yung Barong Aka YBB. Friday, Oct. 19 from 7 – 11pm. Go to wingluke.org for details. 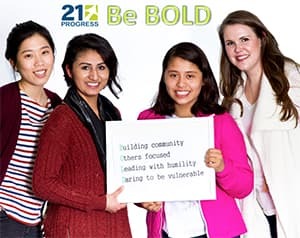 Asian Americans Advancing Justice will host its 22nd American Courage Awards which honors individuals, groups or corporations for their extraordinary commitment to the cause of Asian Americans and Pacific Islander civil and human rights. Honorees include A-jen Poo for her efforts to advocate policy change to marginalized individuals and families nationwide, Hari Kondabolu for his intersectional activism where he blends his experience as a South Asian American into his comedy and Verizon for its dedication and commitment to help Asian American/Pacific Islander and other minority communities to overcome obstacles to technology and innovation. Congratulations to the following people who received MacArthur Foundation Genius Awards for 2018. Vijay Gupta, violinist from Los Angeles Philharmonic, Raj Jayadev, community organizer from San Jose, Wu Tsang filmmaker/performance artist from New York City and Doris Tsao, neuroscientist from the California Institute of Technology. 4Culture encourages artists to apply for the 2019 Artist Fellowship which provides $12,000 in awards and practical support. Deadline is Nov. 28, 2018. Go to 4culture.org for details or call 206-263-1597 or 206-263-1603 with questions. Cultural Facilities Grants are available for organizations to buy,build or renovate space with this grant. Deadline is Nov. 14, 2018. Go to 4culture.org for details or contact [email protected] or call 206-263-1610 for details. 4culture funded a Revisiting Washington App and there is a segment on Japanese American Heritage on Vashon Island. Go to 4culture.US2.list-manage.com for details.